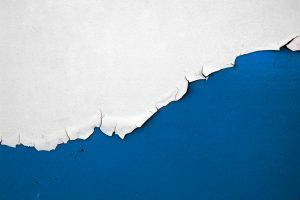 Is Lead Paint a Common Problem? Lead paint has not been in use around Fontana for decades, yet there still seems to be a lot of buzz about getting it removed. The fact is, older homes can have a lead paint problem lurking under layers of renovations from years past. At Tri Span, we understand you want a safe space to call home and offer all of the testing and remediation services you need to become lead-free. Many people think that lead paint is no longer a problem in Fontana, but it’s a product that’s only been banned from use since 1978. Any home that is older than 40 years is at risk of having an interior or exterior surface coated with lead paint. You may not be aware of this since the surface has been repainted numerous times over the years. The layer or layers of lead paint are well-hidden. Lead paint becomes airborne when the surface is somehow disturbed. The lead dust is highly toxic and is absorbed into the bloodstream through the lungs. Accidental release of lead paint dust happens during heavy home renovation projects and exterior changes on older houses with lead paint. You should do careful research on your Fontana home if you suspect it’s possible that lead paint lurks under layers of other materials. It can prove difficult to tell if you’re dealing with lead paint if it’s not a product you’ve ever seen or touched. Visually, the paint chips look thicker and feel heavier than with most modern-day products. Paints of today tend to peel instead of the typical cracking and chipping of lead products. Rather than risk getting lead poisoning, it’s best to call in a professional service to your Fontana home and have it tested. It’s critical to have lead paint completely removed if found in your Fontana home. Special barriers will have to be placed to protect the outside environment from the lead dust. Vacuuming and protective gear is an important part of the removal process to protect the health of the workers. Not following specifics removal regulations can bring big fines, which is why hiring professionals like Tri Span is a great idea. Contact us at Tri Span if you feel your home might have lead paint present. We offer quick, accurate testing and complete remediation solutions anywhere in the Fontana area.